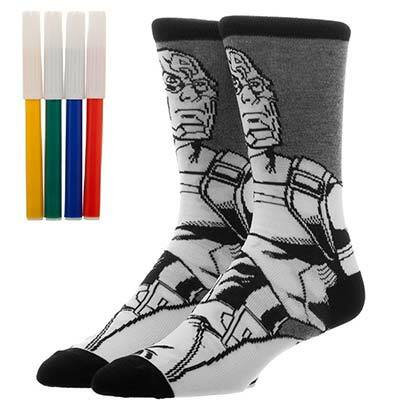 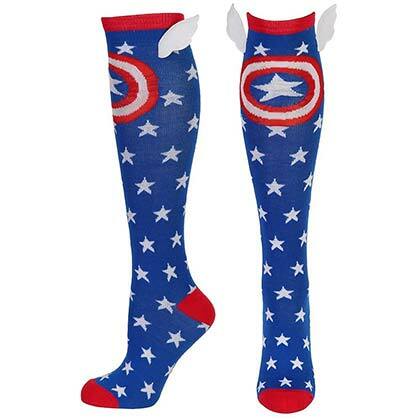 Captain America ombre crew socks. 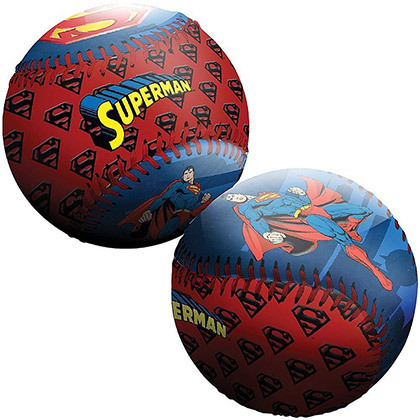 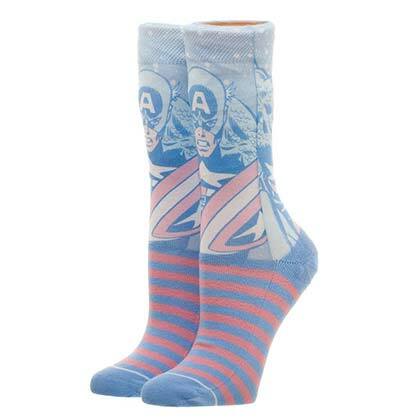 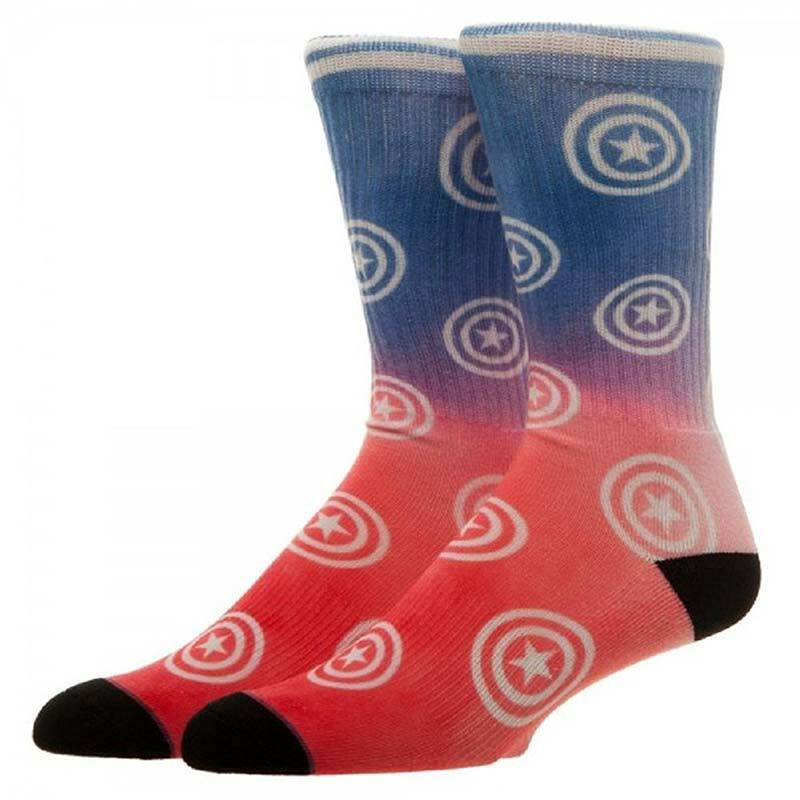 These officially licensed socks feature the "Captain America" shield logo and come in blue that fades into red. 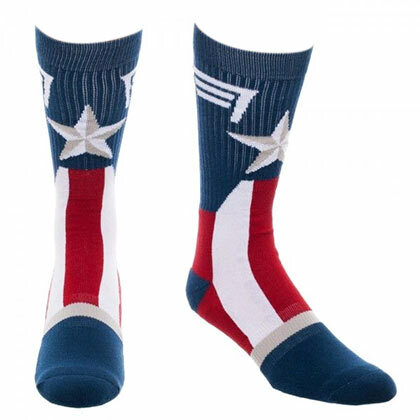 Fits men's sock size 10-13, fits shoe size 8-12.